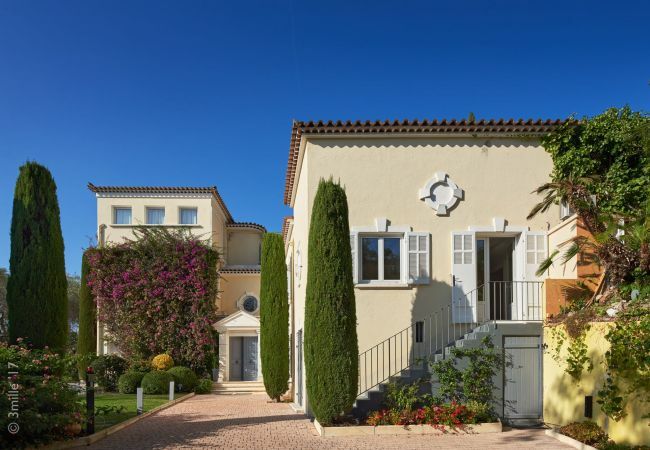 Looking for holiday villas in Cannes? Home Sud has carefully selected a number of holiday rentals in the South of France and is proud to offer a number of luxury villas in Cannes. Cannes is one of the best-known cities of the French Riviera famous for the glitzy hotels, cars, beaches, and visitors. Cannes has become one of the busiest tourist destinations among jet-setters and famous celebrities as the city hosts many significant events including the annual Cannes Film Festival. Its old town, Le Suquet, is also a great spot for breathtaking panoramic scenery. If you visit Cannes at the right time of the year, you can take advantage of the town’s varied selection of cultural events, with the International Film Festival in May being the most famous. When the calendar becomes quiet, tourists will find plenty of attractions to keep them occupied, with historical and natural sights to discover. The beach is of course the most popular attraction for many and Cannes’ golden sands are a great place to spend your summer holiday, while the blue ocean waters offer plenty of opportunities to get active. Home Sud, established estate agent in Cannes offer a selection of villas to rent in Cannes and apartments in Mandelieu la Napoule. Please call our office for further information on how to book your holiday in the South of France. We specialise in the rental of villas in Provence and self catering holiday apartments and villas along the French Mediterranean coast. For more information on our properties to rent in Cannes please contact Home Sud<:A>, or feel free to browse our selection of holiday rentals in France. We also have a portfolio of villas in Nice with pools and a choice of villas in Saint Paul de Vence, properties in Saint Tropez and luxury holiday villas in Saint Jean Cap Ferrat, Monaco and Antibes. Please contact our English speaking team +33 4.89.68.80.30, or by email contact@homesud.fr for further information on Holiday homes in France.